MOSCOW, November 22. /TASS/. 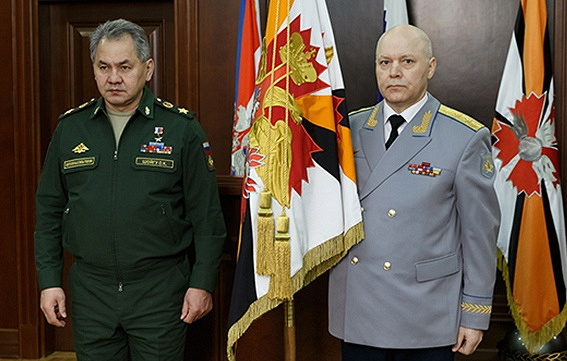 Head of the Main Directorate of the General Staff of the Russian Armed Forces (GRU) General Colonel Igor Korobov has died aged 63, a source in the Russian Defense Ministry told TASS on Thursday. "Head of the Main Directorate of the General Staff of the Russian Armed Forces, Deputy Chief of General Staff Igor Korobov died on November 21 from a serious illness," the source said. Igor Korobov was born on 3 November 1956. He started serving in the military in 1973. He graduated from the Stavropol Higher Military Aviation Schoold of Pilots and Navigators of the Air Defense Forces, Military Academy of the Soviet Army and Military Academy of the General Staff of the Armed Forces of the Russian Federation. Korobov worked in military intelligence since 1985 and occupied different positions in the Main Directorate. He spoke several foreign languages. Over the years of his military service, Korobov received many awards and medals. In 2016 he was appointed by a presidential decree as the head of the Main Directorate of the General Staff of the Russian Armed Forces and Deputy Chief of General Staff of the Russian Armed Forces.